Need longer flight time for your multi-rotor drone? This is not a rocket science anymore. R. Cordova, CA (November 21, 2016) – Master Airscrew (MAS) introduced a new line of aerodynamically optimized ultra high performance propellers for Multi-Rotor drones named – the “MR” series. 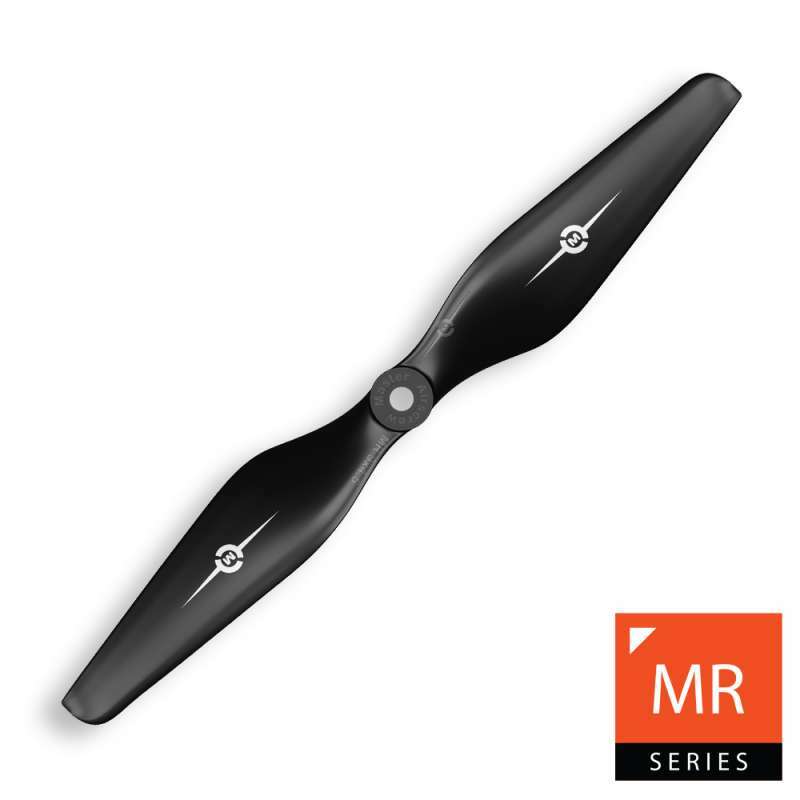 Suitable for both commercial and hobby applications, the novel propellers will be available in diameters from 7” to 16” and various pitch angles. Thrust – Having the best propulsion system with the widest lift range is a design goal of every professional or hobby drone builder. Efficiency – Every extra minute counts! Low Vibration profile – smooth, wobble-free aerial cinematography. MR: is factory pre-balanced for minimum vibrations – thus addressing the problem at the source – something that no absorbers and up-scale gimbals can truly cope with. Silent operation – noise reduction is critical when operating nearby populated areas. MR: features an advanced CFD refined airfoil design and structural geometry with special focus on the reduction of the turbulent airflows. MR: propellers are manufactured from GFR Polymer composite for optimal strength / flexibility ratios. First MR propellers (certain sizes) will be available for purchase starting Nov 21st. Expect new diameter/pitch sizes on a regular basis. Next Force RC ‘Tis the season: 12 Days of Deals!